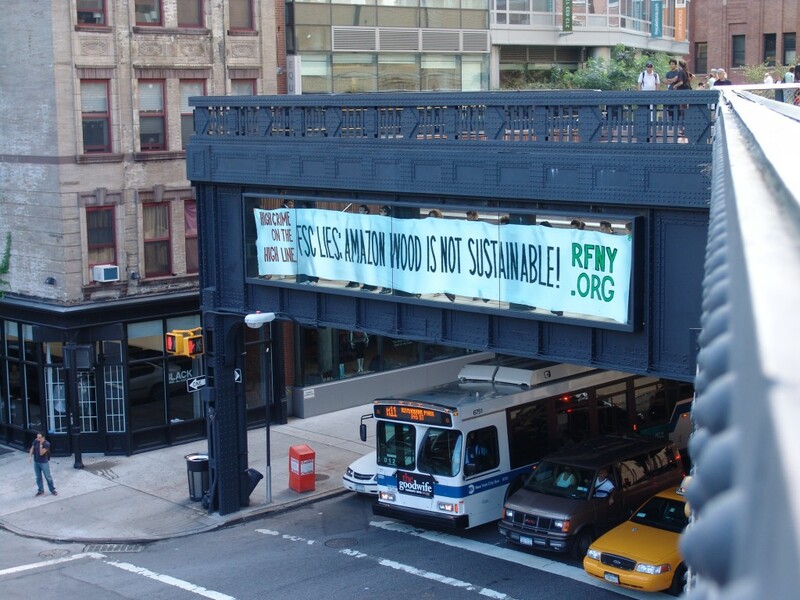 Two New York City-based groups, Rainforest Relief and New York Climate Action Group, coordinated the banner action to confront the “First International FSC Friday,” an event held on September 25th by the Forest Stewardship Council to promote their certification scheme. 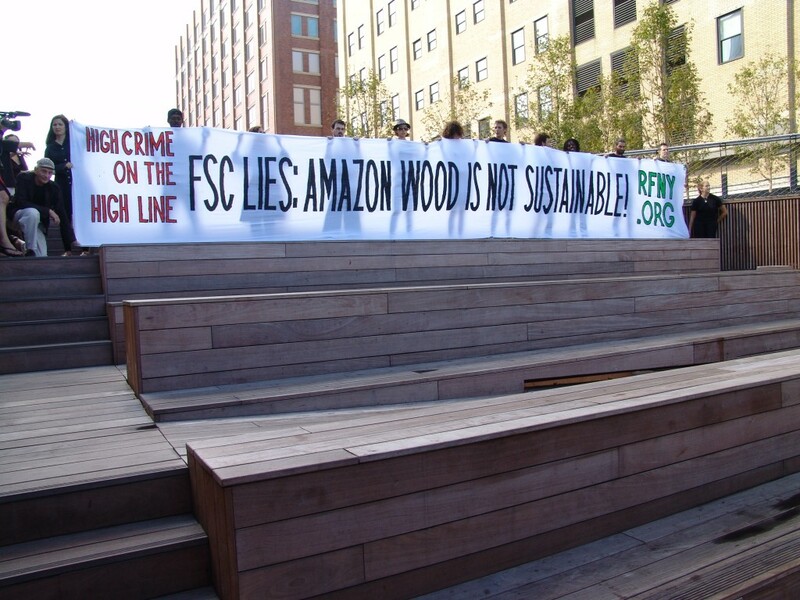 According to Friends of the High Line’s website, the tropical hardwood used throughout the High Line was certified by FSC-accredited agencies. The wood, called ipê, originates from primary Amazon forests in Brazil and Peru. Ipê trees are typically 250 to 1,000 years old and grow an average of one or two trees per acre. Formed in 1993, the FSC accredits agencies that in turn certify logging operations according to a set of principles that the FSC claims will protect forests and local people. However, a growing number of environmental groups, including Friends of the Earth UK, Rainforest Foundation, Ecological Internet and World Rainforest Movement, are accusing the FSC of violating their own principles. “Instead of launching vacuous marketing ploys such as ‘FSC Friday,’ the FSC would be better off trying to address some of their underlying issues,” said Simon Counsell. Counsell, a founding member of the FSC, now monitors the agency on FSC-Watch.org. On July 12, 2009, the Brazilian government announced that federal police had broken up a timber-laundering ring in the Amazon involving 3,000 “eco-certified” companies that had been receiving illegal wood for years. FSC-certified companies are among the implicated. 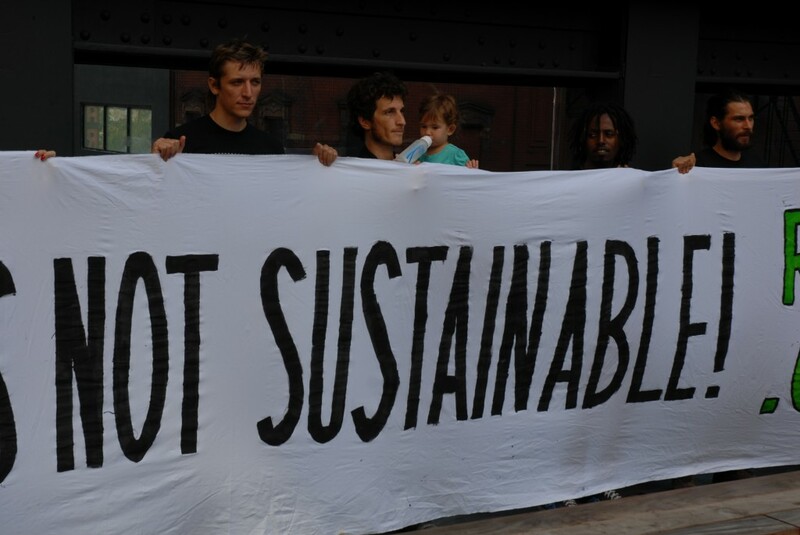 Dr. Glen Barry, founder of Ecological Internet, said “It has become evident to environmentalists in the know that FSC has become an obstacle to ending ancient-forest destruction and addressing climate change and biodiversity loss.” EI is demanding that FSC stop certifying wood from ancient primary forests around the world. 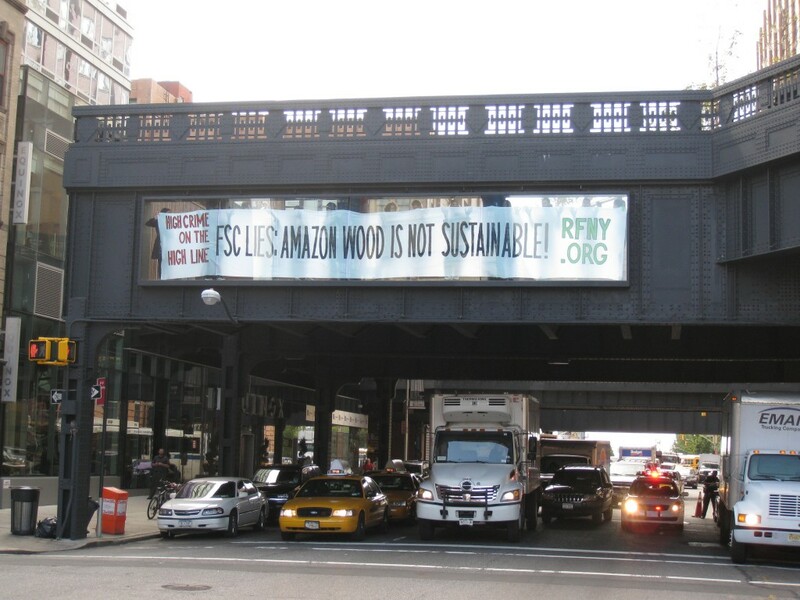 High Crime on the High Line: Why Is NYC’s Highest-Profile Park Using Amazon Wood? 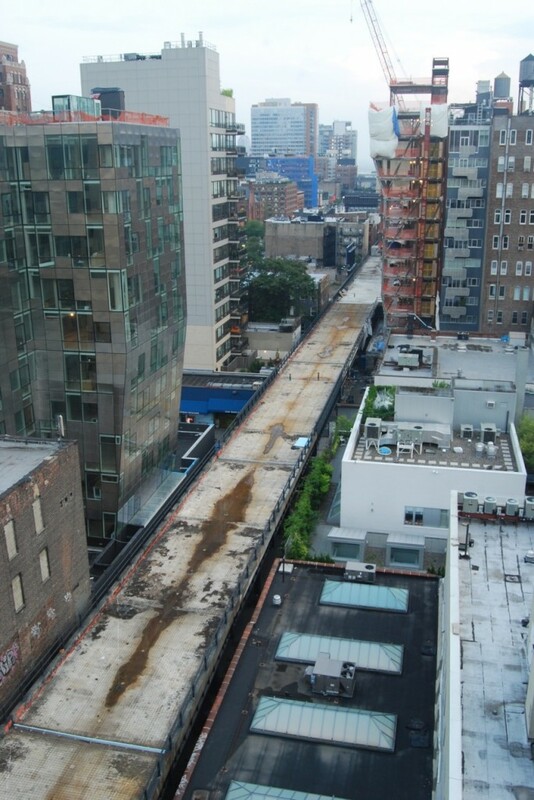 High Line Section 2 Awaits Construction - With or Without Amazon Wood?